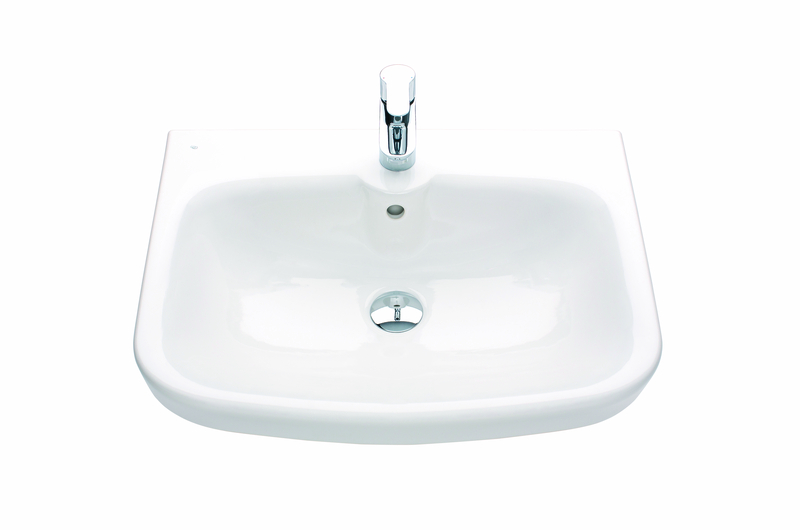 IDO Glow washbasin, 600 mm. Square design. For bolts or brackets - ideal for mounting on any wall. With IDO Smart glaze for even easier cleaning.